Our lodgings in Marquette have the space that you’re looking for and the comfort you deserve. 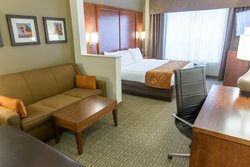 Large groups can find the number of beds they are looking for as all of our accommodations have comfortable sofabeds within each room. 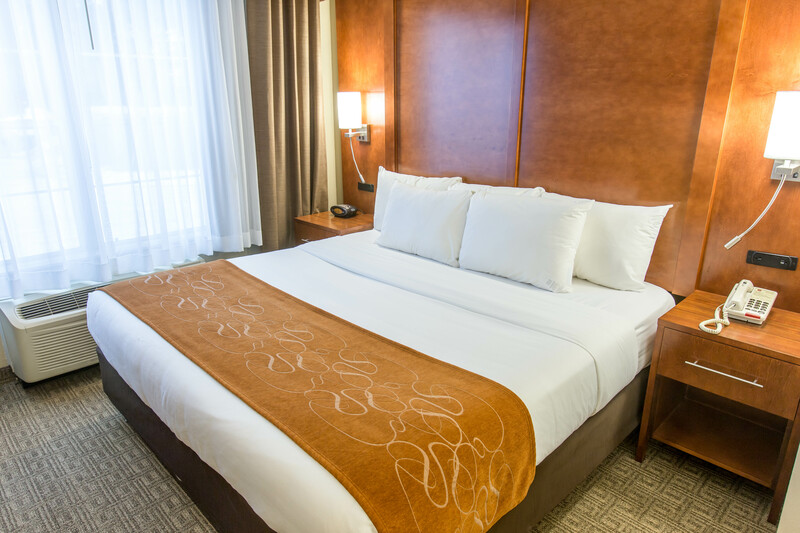 Sleep well in our cozy furnishings and wake up to in-room coffee. Our Marquette lodgings all have high-speed WiFi and a desk for you to work out of the office. 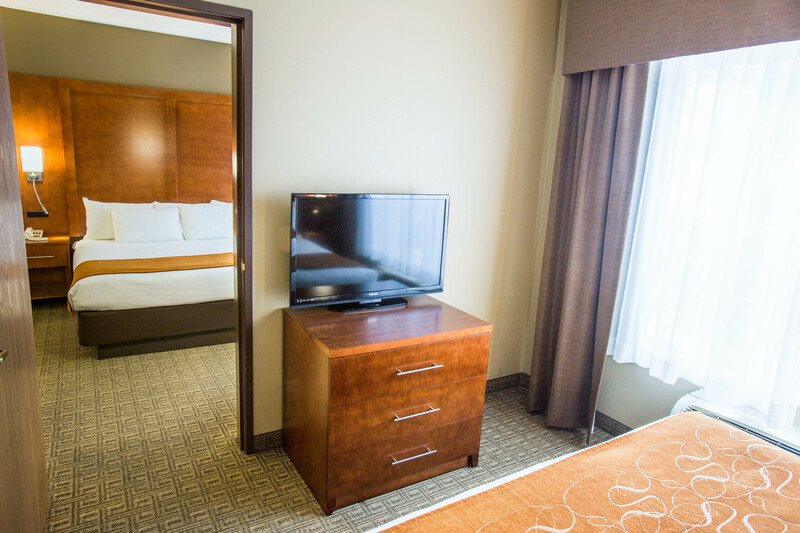 After a long day, pop a snack in your microwave and relax with your favorite show on the flat screen HDTV. 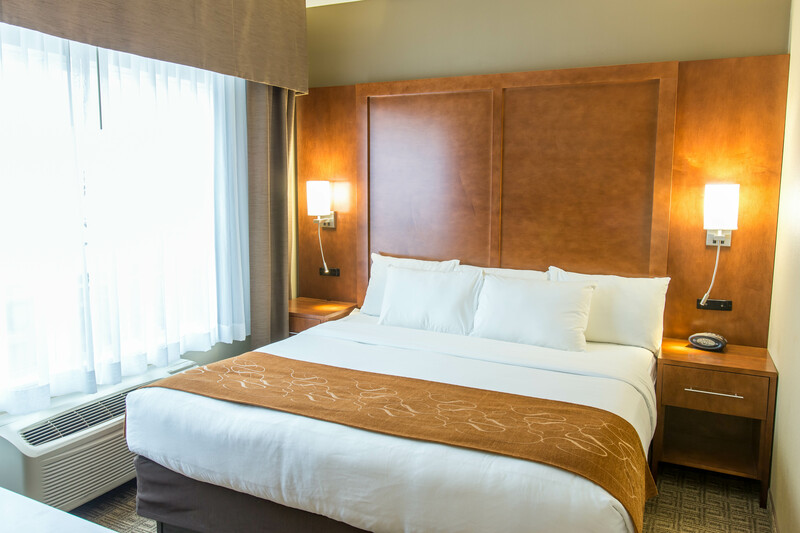 Rest assured, each room comes with an iron, ironing board, and hair dryer so that you have the appliances you need while you’re staying with us. Each suite has an in-room safe for your valuables and an alarm clock. 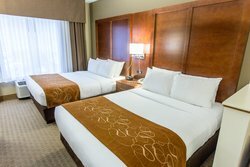 We provide a large selection for our complimentary deluxe breakfast as well as room service from our onsite restaurant, Hudson’s Bar and Grill. 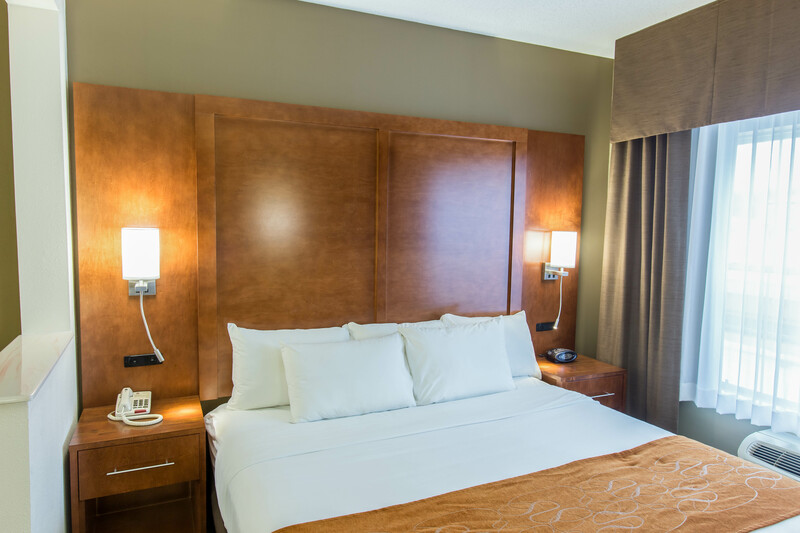 Sleep soundly and speak with our 24 hour front desk if you have any questions about our lodgings in Marquette, MI. Providing quality service is our highest priority. Visit our Amenities page to learn more about all the things our hotel has to offer, such as our Business Center, indoor heated pool, and sauna. 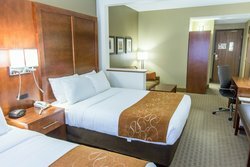 Perfect for larger groups, sleep in two Queen beds and pull out the two person sofabed for even more sleeping space. The Two Queen Suite has a desk for you to work at in room, as well as a microwave, refrigerator, and coffee maker for you to prepare snacks as you would like it. Stay connected with free high speed WiFi and watch your favorite shows on the 37” HDTV. 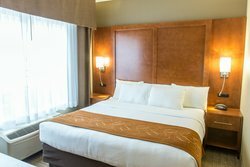 Sleep well in your King bed with all the space you need, as well as a two person sofabed for additional guests to stay over. 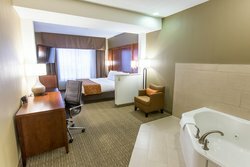 The Luxury King Suite has a desk for you to work in your room, as well as a microwave, refrigerator, and coffee maker for you to prepare your snacks as you would like it. Stay connected with free high speed WiFi and watch your favorite shows on the 37” HDTV. Perfect for larger groups, the Family Suite has two King beds in separate bedrooms. 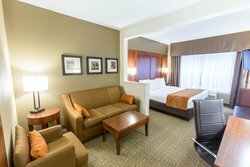 The suite has a two person sofabed for additional guests to sleep. Stay connected with free high speed WiFi and watch your favorite shows on the 37” HDTV. 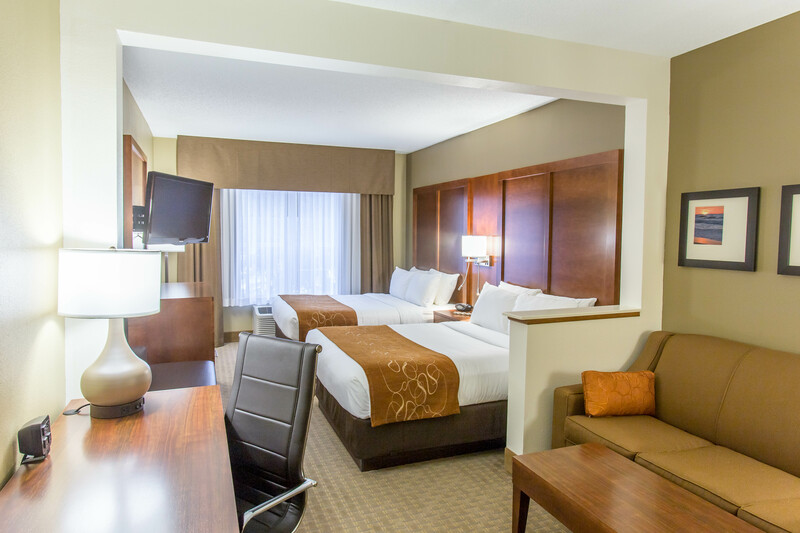 Each suite has a microwave, refrigerator, and coffee maker for you to prepare your snacks as you would like it. Relax and unwind in your own private whirlpool bath. 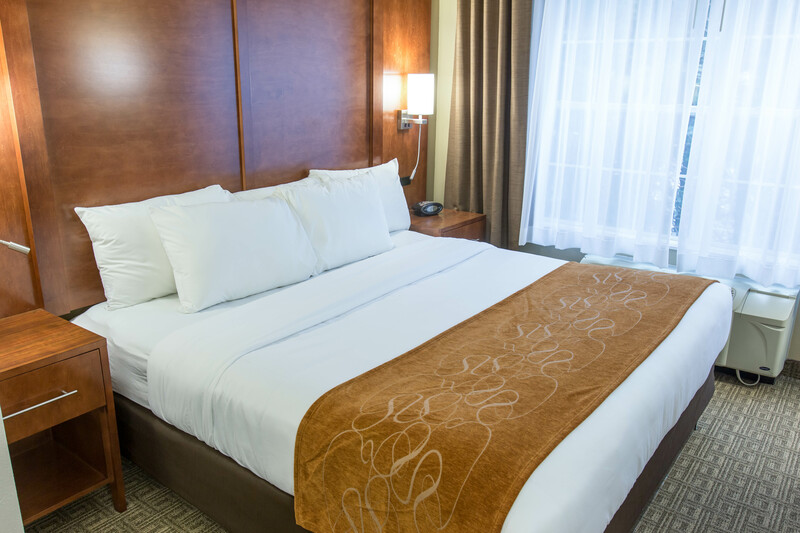 The Luxury King Suite has a King bed for all the space you need. 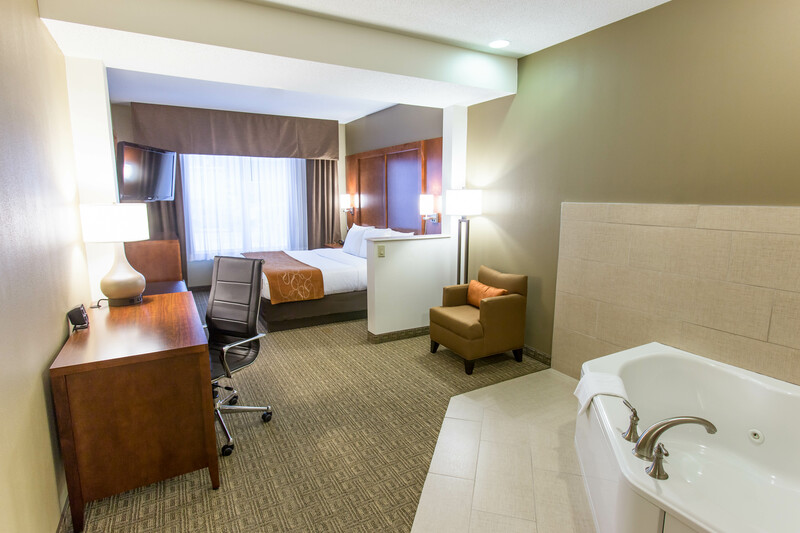 The Luxury King Suite has a desk for you to work in your room, as well as a microwave, refrigerator, and coffee maker for you to prepare your snacks as you would like it. Stay connected with free high speed WiFi and watch your favorite shows on the 37” HDTV.